Step 1 Break the eggs into a bowl, add salt and pepper and stir the eggs with a pair of chopsticks. You can beat them fully, or stir them so that there are still discernible whites. Step 2 Heat the wok over medium-high heat and add the oil, swirling to coat the pan. Heat until you see a wisp of smoke, then add chives, stirring. Step 3Pour in the eggs and stir around until soft scrambled, about 2 minutes. Serve immediately. In Recipes-list.com we have selected the most viewed recipes from category - Breakfasts Vegetarian . Enjoy the best recipes specially selected for you! 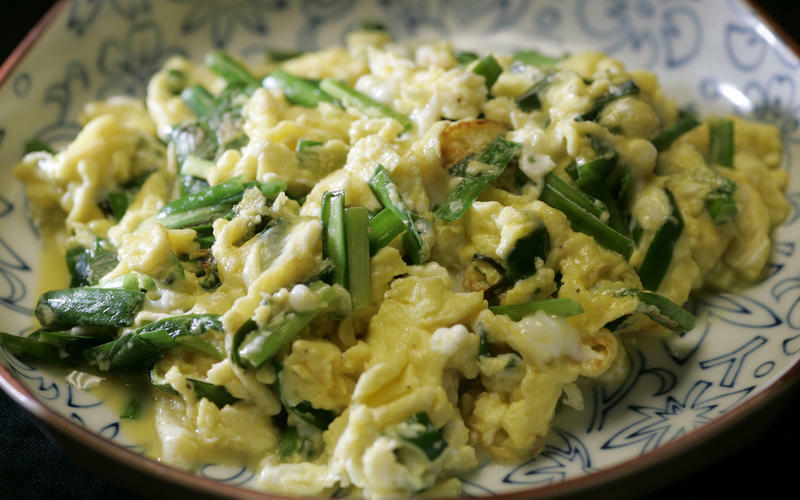 Scrambled eggs with garlic chives is the right choice that will satisfy all your claims.